For as long as I have been part of the Western Massachusetts Writing Project (which is going on 15 years now, starting with my very first year of teaching after a 10-year career in newspaper journalism), I have been involved with technology in the writing project. 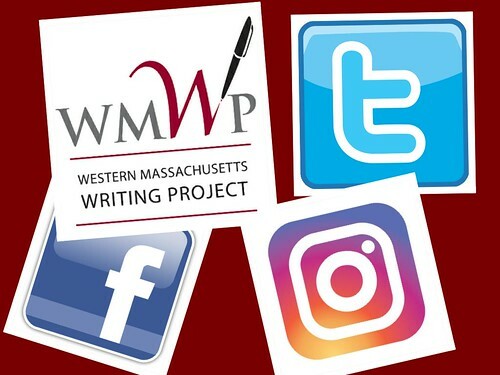 It all happened rather inadvertently, as then WMWP Technology Liaison Paul Oh was moving on to begin work with the National Writing Project, and our WMWP Summer Institute had played around with something new (it really was brand new at the time) called “blogs” to great success. As Paul was leaving, he and the site director pulled me aside and asked if I would be willing to step up and replace Paul as the WMWP Technology Liaison (a designation NWP/WMWP no longer uses), and I said: I guess so (rather reluctantly, since I did not see myself as a techie at the time even if I was an enthusiastic experimenter). I wrote about some of my journey into technology with WMWP and NWP for a site celebrating 40 years of NWP. In the past years, our WMWP site has put a renewed importance on technology across programs, creating a Co-Director position on the Leadership Team. 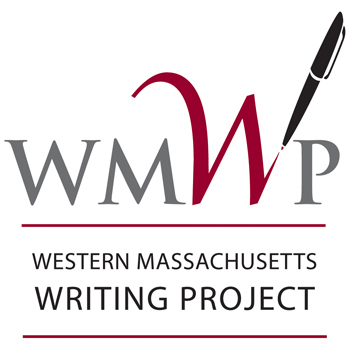 I have been the Technology Co-Director for the Western Massachusetts Writing Project for some years now, following my role as technology liaison (which was more an advisory position). Since Paul left, and I took over, I have been in the same slot (with different names). I’ve loved all of it, and count many successes. From overseeing a massive blogging project called Making Connections funded by a NWP grant that connected middle school students across socio-economic areas, to running youth digital writing camps; to documenting with video and audio the work of WMWP; to facilitating a WMWP Technology Team; to launching the iAnthology social network in partnership with Hudson Valley Writing Project; to facilitating workshops and planning Technology Conferences; consulting on the launch of a new WMWP website and now consulting on yet another version of the WMWP website; and on and on. Not to mention all of the NWP activities on the larger stage, such as helping to facilitate CLMOOC in the past four years and writing regularly for the Digital Is website. But I began to feel in a rut, a bit. Not that I had done everything I wanted to do but that there just wasn’t that spark of energy. Perhaps, I began thinking, it was time for me to be doing something else in WMWP. Last Spring, after considerable thought, I decided to propose a change to my WMWP fellows. We had an opening on the WMWP Leadership Team. The position of Co-Director for Outreach was available, and I had already been focusing more and more on how to use more social media tools to reach our WMWP teachers. We revamped our Facebook account, became more active with Twitter, and launched an Instagram site. Our YouTube site was growing with each conference WMWP hosted. I proposed to WMWP that I leave the post of Technology and move into the post of Outreach, where I would still harness technology with the goal of reaching and connecting teachers together (something I was sort of doing already with Technology). And now, I am happy to say, one of my WMWP Technology Team colleagues — and someone with whom I have worked closely with over the years on a variety of projects — has stepped into the role of Technology Co-Director. Tom Fanning will do a fantastic job, breathing new life into the role of technology in our writing project site and laying out his own vision and plans for where WMWP goes next. Our site director, Bruce Penniman, always says, The first task of any leadership position is to start looking for your replacement. I’m very happy that Tom in is place and that I get to keep working with him. If Bruce is right, though, now I have start looking for my replacement for the Outreach slot. Hmmm.